Honest thoughts, Nantex is ugly but interesting, Ohhh Republic Y-Wing, and a pretty M3a. So overblown with stuff for the old factions... meh? I'm okay with, particularly if they start doing the card pack thing we're seeing with Legion. Yes, heaven forfend that FFG flesh out their new factions with actual content... It is not a de facto admission by FFG that people who play Imps/Rebs (I take it thats what you meant by 'real' because I cant imagine you were referring to the Hapes or Chiss) are not going to get anything for years, they bluntly said that they are going to be producing repackages into v2.0 with any new content coming from whatever happens on screen. This wave will also probably be the one that has the new film tie in ships as well. If this upsets you so much why did you bother to post? LunarSol wrote: So overblown with stuff for the old factions... meh? I'm okay with, particularly if they start doing the card pack thing we're seeing with Legion. Yeah they said the card packs will be happening sooner or later, presumably when they have made enough stuff to make it viable. KingmanHighborn wrote: Honest thoughts, Nantex is ugly but interesting, Ohhh Republic Y-Wing, and a pretty M3a. 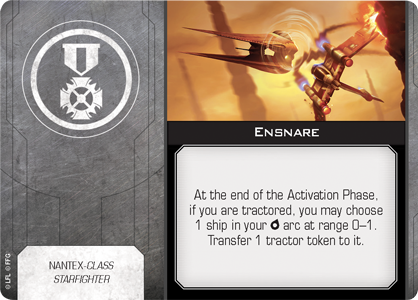 The Nantex ability at Initiative 6 is going to be horrible to play against but thankfully its on a real fragile platform. I quite like what they have done with the Clone Y, subtle but distinct. Yeah the Nantex looks uber fragile and it's still ugly but still I want to try one. 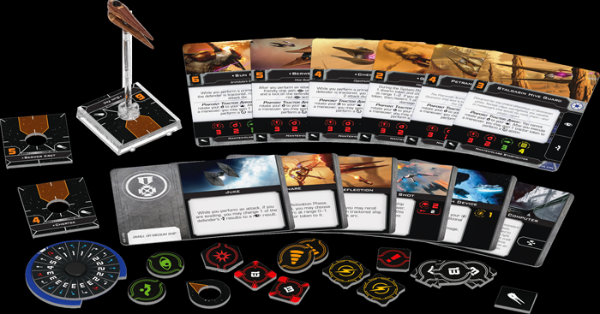 It's not just about FFG filling out the prequel trash factions with new content, though I think including prequel trash was a very poor choice. It's the fact that the only new content for the foreseeable future is either prequel trash or maybe, if we're very lucky, more ships from the dumpster fire of the sequels. If you play one of the OT factions the only releases you're going to get are reprints of the conversion kit stuff you already have. No new ships, no new pilots for your existing ships, no taking the opportunity to fix the various balance/design issues from the conversion kits. If you don't play one of the trash factions you might as well ignore the game for the next couple of years because FFG doesn't care about you. Also, I wasn't aware that only positive comments on the new releases are acceptable. To be honest, Those playing with only the OT (Originale Three) factions still have a lost of ground to cover in trying to make the ultimate squads... or play Phantoms, I guess? On that score, well do you think the U-Wing was an acceptable release? We know that the Cassian series is coming out and that should have some new stuff from the very early OT period, suppose there is also a chance for yet another Imperial shuttle (though i cant remember the name, the Pyramid one from RO). There has been some murmurings about the card packs including extra pilots for already released ships like they did before but this time without having to buy an Epic ship to get them, no idea of the validity of the rumor but it appeared after the Celebrations panel at the same time as the talk of the new Epic stuff (new bases, squadron dials, new movement). The flip side of the argument though is that if they dont stick to re-releasing stuff to make it V2 compatible it will then end up in the situation of people crying about having to get a conversion kit and 1st ed. ship in order fly stuff. So FFG are damned if they do and damned if they don't on this score. Can you see a viable alternative? You know that is not what I was saying, I was actually curious as to why you felt you needed to post about something you clearly hate rather than just ignore it. Okay I'm not a prequel fan and yeah the ships were shiny, and the world looked so 'new' compared to the weather beaten lived in aesthetic of the original, but I love the sequels. And with the 6 month balancing FFG does have a decent way of keeping things in balance. Besides YOUR GETTING OT ships left and right, the Ghost, M3as, the Jumpmaster, The V1 Advanced are all OT ships, now I'd LIKE to have a Tie Hunter, or Tie Oppressor, but there is ships they can put out for the Republic and CIS that aren't trash, the B-22 is one of them, and Hyena is very nice looking. If you want out, that's fine, send me your Punishers, and Tie Aggressors before you throw them in the trash. On that score, well do you think the U-Wing was an acceptable release? A u-wing re-release with new content would be just fine. 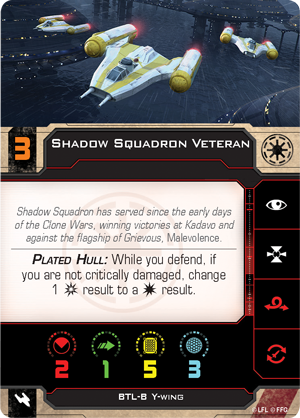 There has been some murmurings about the card packs including extra pilots for already released ships like they did before but this time without having to buy an Epic ship to get them, no idea of the validity of the rumor but it appeared after the Celebrations panel at the same time as the talk of the new Epic stuff (new bases, squadron dials, new movement). I would be happy to see this, but as of now it's just rumors and all we've seen from FFG is "new releases" that are just copies of stuff we already have. The viable alternative was for FFG to fix their inexcusable inventory issues so that everything is available to buy at all times instead of having to wait months or more for a ship to come back into stock. Then they could have just dumped the conversion kits and updated 2.0 versions of the ships all at the same time, and only released new content going forwards. I'm fine with FFG releasing full 2.0 versions of every ship, I'm not fine with them treating those releases as new stuff in a wave and telling all of their existing customers who already bought the conversion kits and 1.0 ships " you, play prequel trash if you want to get anything new before 2025". They're OT ships that we already have. There's nothing new in them, just copies of the 1.0 ship model and conversion kit cards. If you bought the conversion kit you get nothing new from this. Dude every 1.0 ship has been updated in either sculpt and/or a new paint job, so model wise it's still tempting to buy them as they come up, it's also hard to expect them to have every preexisting 1.0 ship available in 2.0 with updated paint and sculpts, mass printed and ready for worldwide sell. I think you're being a bit too hard on them here. Dude every 1.0 ship has been updated in either sculpt and/or a new paint job, so model wise it's still tempting to buy them as they come on, it's also hard to expect them to have every preexisting 1.0 ship available in 2.0 with updated paint and sculpts, mass printed and ready for worldwide sell. I think you're being a bit too hard on them here. No, it's perfectly reasonable to expect them to be able to maintain stock on all of their products. There is no excuse for FFG's inability to keep ships in stock, especially when they had lots of time to prepare for 2.0. Every single ship should have been available on release day in a new 2.0 package along with the conversion kits for 1.0 ships. If I want to order a tactical squad from GW I don't have to wait 6 months for a reprint to come back in stock, GW is just capable of basic inventory management and any stock shortages are brief. FFG should be held to the same standard. And no, I don't count a subtle repaint on a ship I'm going to paint myself as genuine new content. Nor have FFG updated every ship. Imperials have nothing new at all, not even new paint on their existing models. Not everyone likes to repaint ships like we do, and even then I like some of the schemes. So I generally repaint a ship once I have 3 or so of the same ship. I'm not expecting any producer to keep anything in stock if it is not made locally anymore. If they pressed those ships in the US or Europe, maybe. but since it comes from China, I'm not keeping my hopes up at all. I thought they were pressed out in the UK. Why not? It's not like we're talking about occasional short-term supply disruptions, it's a case of FFG not bothering to start production on a new batch until the old batch is sold out. They seem to be terrified of having excess unsold inventory and therefore won't do the obvious thing and start the next production run based on its projected sell-out date so that by the time it does sell out the next run is on its way to stores and any gaps in availability are as short as possible. So yes, I absolutely will blame FFG for their failure to keep their most popular game in stock and how they treat ordering a new production run as new content that players should be grateful for.